The Louisville bedsore injury attorneys of Nursing Home Law Center LLC are skilled defenders of those who have suffered unwarranted injuries at the hands of negligent caregivers unequipped to deliver the attention and treatment they’ve promised. The number of pressure ulcer cases arising in recent years is alarming and it is unacceptable to continue allowing for profit nursing homes to ignore the need to adequately staff their facilities such that staff members are able to devote the time needed to prevent the occurrence and worsening of these injuries. We believe we can promote change by making sure that your loved one receives the justice and compensation he or she is entitled to. The city of Louisville is the largest in the State of Kentucky with a population of over 615,000 residents. Senior citizens make up over 12.6% of the total, and with many residents aging beyond 50 years, there is growing demand for senior citizens due to eclipse the current need. Metro Parks Senior Services facilitates and coordinates a number of senior programs and activities through two senior centers so that aging residents can remain healthy, active, social, happy and independent. By keeping adults active into their golden years, the program can help delay the need for assistive care and maintain the ability of seniors to continue enjoying the hobbies and activities they enjoy. For more information, you can visit https://louisvilleky.gov/government/parks/senior-services. Many people find that the decision to place a loved one into an assistive care facility is challenging enough without fearing for their loved ones’ safety once they are under professional care. Louisville is home to 69 nursing centers and only 16 of the centers have received perfect grades from Medicare for the quality of their care and ability to meet patients’ needs. This only reinforces the stigma people have toward the industry. 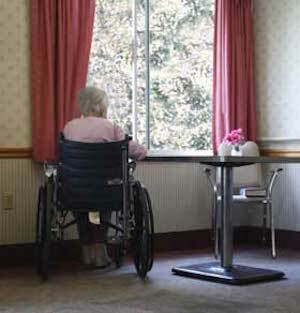 The good news is that there are still quality nursing facilities available which can serve your loved ones’ needs. Our Louisville pressure sore lawyers direct many people to the Medicare nursing home compare tool to help them separate the quality ones from those which have exhibited consistent disregard for patient safety and comfort. This tool grades homes based on factors such as staff quality, health inspection history and the application of past fines. For example, the $500,000 in fines assessed against the Brownsboro Hills Health Care and Rehabilitation Company is a strong influence on its one star grading. To use the tool yourself, you can visit the Medicare website at https://www.medicare.gov/nursinghomecompare. While minor bedsores are excusable in some instances involving patients who are completely immobile, there is no reason any patient should be subjected to the pain and torture of living through the progression of these sores into open and infected wounds. Preventative measures are quite simple— involving nothing more than checking in on the patient every two to three hours and repositioning him or her to restore circulation to areas which may have been deprived of oxygen because of the body’s weight on the joints. When a patient has a minor sore, treatment is quick and simple as well. The application of topical and oral medications are usually enough to facilitate healing and stave off the risk of infection. When considering how easy it is to address patients with the risk of developing bedsores, it becomes clear why it is such an egregious offense for a nursing facility to fail to intervene until the patient requires hospitalization. Nursing Home Law Center LLC is dedicated to providing a voice to the victims of nursing neglect by sending an unequivocal message to the industry that negligent nursing homes will be held responsible for their actions. If your loved one has been injured, we will fight to ensure that he or she secures the compensation needed to make things right and that the people responsible are brought to account. Contact us today to arrange a free case review with one of our award winning Louisville bedsore injury attorneys.